It was a year perhaps like no other — tumultuous and frankly intense to get through at times. Yet ICYMI: 2018 was also packed full of hard-fought moments (and victories!) for the environment and people power, which are gearing us up for the year to come. 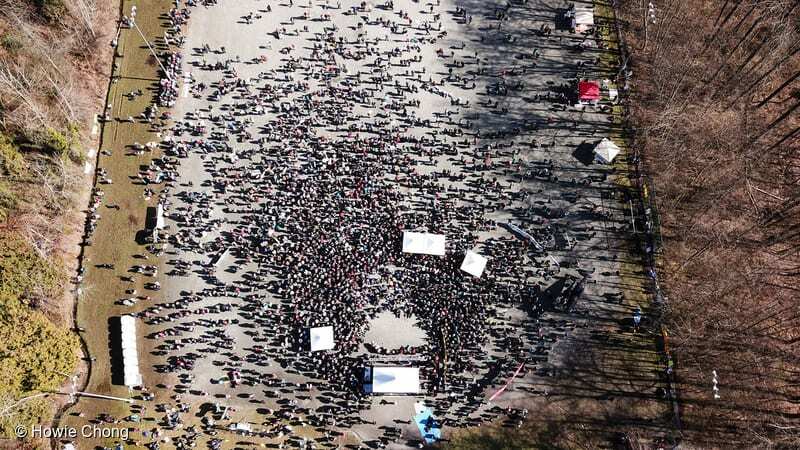 Thousands gather in Metro Vancouver, British Columbia, for Indigenous-led "Protect the Inlet" mass mobilization against the Kinder Morgan Trans Mountain Expansion pipeline. The mobilization, led by Tsleil Waututh spiritual and cultural leaders, includes the building of a "watch house" grounded in the culture of the Coast Salish peoples, who, in the past would use watch houses to monitor their enemies and prepare to defend themselves in case of attack. For every dark and tumultuous moment we lived through in 2018 — and yes, there were many — it’s important to recognize that on its heels was an equally inspiring occasion that helps remind us why we keep fighting to protect our environment, our communities and our rights time and again. The credit of any victory we’ve had this year rest largely on the shoulders of passionate Greenpeace volunteers, donors, activists, water protectors, pipeline fighters, petition-signers, protesters, Congress callers, plastic clean-up and brand auditors, supermarket plastic campaigners, and social-media messengers — all of whom joined us in this extraordinary time to affect change for our environment. So here’s a look back at the battles waged, victories won, and the incredible people power that defined 2018. After months of people-powered actions around the globe, Samsung accepted our challenge and committed to 100% renewable energy in the U.S., Europe, and China by 2020! The announcement came on the heels of our global campaign calling on Samsung to set strong renewable energy goals for its operations and supply chain. Samsung’s new clean energy policy stands to have an enormous impact in reducing the company’s massive manufacturing footprint, and further establish large IT companies as critical players on the road towards a clean energy future. 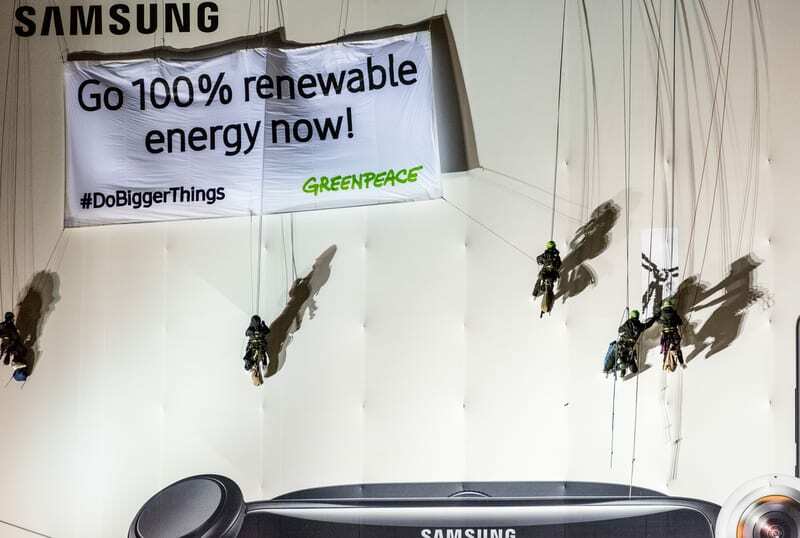 Greenpeace activists protest for Samsung to commit to using 100% clean energy. The environmental activists hang a 40m2 banner over a Samsung advertisement on the walls of the Berlin Palace that reads: ‘Go 100% renewable energy now!’. The South Korean company that leads the market in mobile communication is also main sponsor for the 2018 Winter Olympics, which should be carried out with clean energy. After hundreds of thousands of you took action, the oil and gas behemoth Kinder Morgan bailed on its tar sands Trans Mountain Pipeline expansion project, selling it off to the Canadian government last spring. Kinder Morgan’s announcement was in response to heavy pressure from Greenpeace and mass protests around the world aimed at keeping the proposed 715-mile pipeline from being built. Then in August came a huge success for the Indigenous-led pipeline resistance — a Canadian court overturned the government’s approval of the project. If they want to start the approval process all over again, they will have to consult with the 117 Indigenous groups and First Nations who would be affected by the pipeline. You’ve helped create the explosive movement to protect ocean life from single-use plastic pollution. Consumer giants like Kroger and Ikea, along with foodservice companies like Aramark, Bon Appetit, and Sodexo have all committed to significantly reducing single-use plastics across global operations over the next few years. Towns, cities, and counties across the country are banning plastic shopping bags, straws, and cutlery, too. This rapidly growing movement stands to transform the foodservice industry into an active participant in the global movement away from single-use plastic and other throwaway stuff in our food systems. Keep fighting the good fight because it’s working — you’ve been so successful at changing the story on plastics that Collins Dictionary made “single-use” the word of the year! After over 1.3 million Greenpeace supporters spoke out for Indonesia’s rainforests and peatlands — and the orangutans that call these forests home — the world’s largest palm oil trader, Wilmar International, was moved to take action. Wilmar issued a detailed action plan describing how it will eliminate deforestation from the 40% of the world’s palm oil it controls. If Wilmar sticks to its word, it is one step closer to finally eliminating deforestation from its supply chain while potentially having a major impact on the rest of the industry. 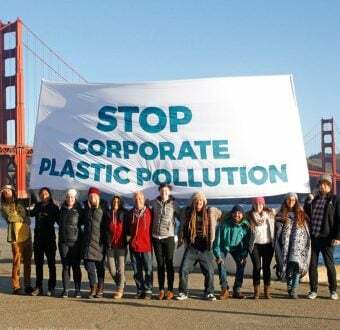 That said, this is not over by any means — Greenpeace will be closely watching to make sure Wilmar delivers and consumer companies follow suit. Our campaign to protect the Antarctic Ocean received unprecedented support of the vast majority of krill fishing companies operating in Antarctic waters. This means that nearly all krill companies operating in Antarctica have committed to voluntarily stop fishing in huge areas around the Antarctic Peninsula, including ‘buffer zones’ around breeding colonies of penguins, to protect wildlife. The companies have also pledged to support the scientific and political process for the creation of a network of large-scale marine protected areas in the Antarctic, including areas in which they currently operate. 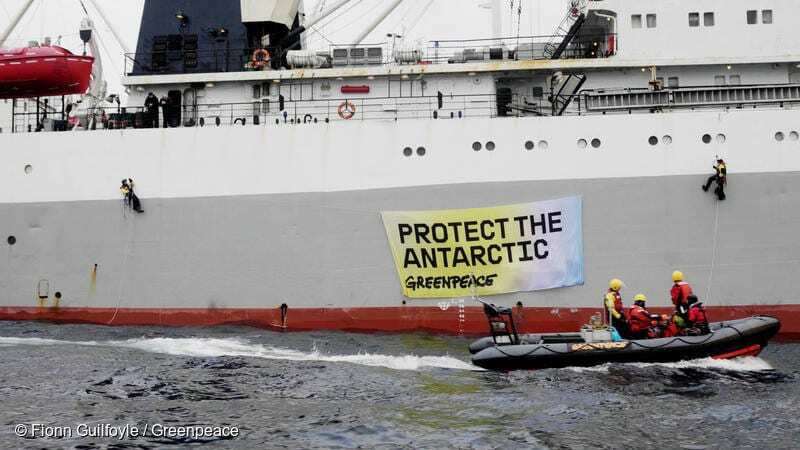 Greenpeace activists in peaceful protest, displaying a banner saying “Protect the Antarctic” on the Ukrainian krill trawler ‘More Sodruzhestva’ in the Bransfield Strait near Greenwich Island, Antarctic. By the end of 2018, Florida had disenfranchised more potential voters than any other state, with more than 10% of all potential voters in Florida unable to vote due to felony records. In November, Florida’s Amendment 4 went to a vote and asked its citizens if they wanted to return voting eligibility to people who have completed their criminal sentences for most felony convictions — and they did, expanding voting rights to 1.4 million people. Amendment 4 was an important step in fixing a broken system. Greenpeace Inc and Cascadia Wildlands’ Lawsuit against the U.S. Forest Service stopped 4 massive logging plans that would have resulted in clearcutting 1700 + acres in Tongass National Forest in Alaska, Earth’s largest remaining Temperate Rainforest. The Tongass is an incredibly Carbon-rich forest and logging in the region could have had a serious impact on the deer population — the main food source of the Alexander Archipelago Wolf. WIN for the forests, wildlife, and our climate!! Lauren Reid is the Web Producer for Greenpeace USA. 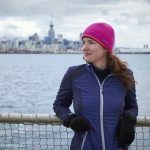 She first volunteered with Greenpeace on the Rainbow Warrior in 2015, for a campaign against overfishing and human rights abuses observed at sea. Lauren is currently based in New Orleans, LA and you can peep her on Twitter @Lo_Pickles. Tell your state representatives to put people and planet before profit!